Prominent & Leading Manufacturer from Sahibabad, we offer mattress felt. 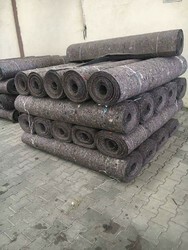 Quality being the prime concern of our organization, we are highly engrossed in offering a varied range of Mattress Felt to our respected clients. The offered assortment of product treasured across the industry for its flawless finishing and these are used to isolate the foam from the spring inside of beds and furniture. Moreover, the offered collection of product is available at very affordable rates.